Thanks to our holistic concept, we keep the port and people in motion. We are a knowledgeable port manager, public institute and modern service provider, enabling us to guarantee a reliable port infrastructure. Together with our subsidiaries Flotte Hamburg GmbH & Co KG, Cruise Gate Hamburg GmbH (CGH) and Cruise Gate Hamburg Terminal Eigentum Gesellschaft mbH (TEG), we ensure safe transport routes, an attractive cruise ship location and efficient communication both on the water and on land. Innovative technologies and intelligent solutions help us make the port an important economic motor for the entire country – driving the value chain, leveraging development opportunities and strengthening its international position for the long term. The Port of Hamburg is the logistics centre for the North of Germany and as such one of the supports for economic growth. Our job is to ensure maximum efficiency, safety and economy in all areas of the port infrastructure. The processes necessary for this are supported by optimised IT and communications technologies. Committed and future-orientated thinking and trading are the foundation for our day-to-day work: Our aim is not only to provide the conditions for a growing port, rather to actively promote and shape this development. That is the aim of the HPA – this is where all of our efforts come together. As the responsible institution under public law, we are the point of contact for all questions concerning marine and land-based infrastructure, the safety of shipping traffic, the port railway facilities, property management and the economic development of the port. Our aim is to promote the locating of industry branches and value added logistics in the port area in order to provide a consistent, long-term increase in value creation in the Port of Hamburg. Hamburg is Europe's traditional Asia port, but also the gate to Central and Eastern Europe and of course to Scandinavia. From this position we are seizing our opportunities to further increase port turnover. Here, its not just a question of increased trade with the growth regions, we're also part of a tight regional network. Long-term and trust-based cooperation with the European North Sea ports and ports of the inland waterways network along the lower Elbe mean we are in a very strong position for the future. The high standard of our work safeguards the long-term success and international position of the port. By networking together all our IT systems our information exchange is even faster and more efficient. Intermodal transport solutions mean that transloading is accelerating. Last and by no means least, is the qualified and motivated manpower that is an essential factor in the port's future success. Our work represents the Port of Hamburg – which requires high standards where our trading is concerned. Transparency is one of the most important principles of our corporate activities. We operate according to the Hamburg Corporate Governance Code (HCGC) and have, amongst other things, set up an internal corruption prevention committee, which helps us to detect bribery or the granting of unlawful advantage early on and then prevent it. We are aware of the responsibility for our environment and our function as a role-model for the metropolitan area. This applies both to our CO2 footprint and our sustainable management of traffic and energy. On our way to becoming a "green port" we use new technologies and innovative approaches to achieve a sustainable symbiosis of port, city and environment. The aim is a leading profile amongst international ports, and a green future. The HPA stands at the intersection of the port's daily routine and its future. Our daily job is to provide a precise and reliable port infrastructure, dependable transport paths and efficient, transparent communication both marine and land-based. With a view to the future of the Port of Hamburg, we are constantly looking for innovative approaches to allow us to sustainably exploit the growth potential of the port and strengthen and expand its position in the long term. Solution- and future-orientated thinking and trading define our work in all divisions and form the basis for a unifying concept for the Port of Hamburg, both now and in the future. Corruption occurs in many different forms. Alongside bribery and granting of unlawful advantage, a whole series of other aspects are covered by this term. Typical of this is primarily the abuse of a function or position within a company or authority for personal gain. Corruption is a problem for the whole economy. It undermines trust in the integrity and operation of companies and causes considerable damage. This is why at the Hamburg Port Authority (HPA), corruption prevention is a permanent task, both for the Management Board and for each individual employee. To this end, the HPA has set up a corruption prevention committee. The director of the Services Division and the directors of the Law and Committees, Internal Audit, Central Purchasing and Personnel business units are here responsible for preparing guidelines and developing measures to detect and prevent corruption. Here the committee adopts a zero-tolerance strategy. Clear guidelines and a code of practice should also contribute to all concerned having a clear awareness of where corruption starts in everyday working practice. The anti-corruption office acts as a point of contact, should irregularities or infringements against internal codes of practice or guidelines be observed or suspected. External service providers, suppliers or business partners can also, in cases of suspicion, contact the HPA. What is the role of the ombudsman of the HPA? The ombudsman receives tip-offs where there are suspected infringements against laws or internal codes of practice. Which tip-offs does the ombudsman accept? The ombudsman accepts tip-offs in respect of legal infringements. The aim is clarification and prevention of economic offences, balance sheet infringements and large asset misappropriations. First and foremost tip-offs in respect of corruption offences are wanted. Tender participants or suppliers in particular, can report any observed or suspected irregularities during tenders. The Hamburg Port Authority introduces environmental guidelines because it is very aware of the area of conflict between port and environment. The aim of the guidelines is to protect and care for natural resources. Moreover, sustainable development must be promoted and environmental protection be firmly positioned in our thinking and approach. The HPA basis for any environmental management is the binding specification of an environmental policy. The HPA recognises its responsibility for environmental protection explicitly by way of environmental guidelines. The reduction of emissions and consumption, avoidance of waste, increases in efficiency and the improvement of environmental performance are essential corporate goals. Hamburg Port Authority and its employees are extremely aware of the relationship between the port and the environment. In accordance with our mission to operate, expand and develop the port of Hamburg, we aim to meet the needs and wishes of our customers and users, while being careful to ensure that adverse effects on the quality of life and the environment in the port of Hamburg and its environs are avoided wherever possible. With this Hamburg Port Authority environmental policy, the company and its employees set themselves the objective of protecting and maintaining natural resources, promoting sustainable development and enshrining environmental protection as a matter of course in everyone's thoughts and actions. For us, striving to protect the environment is a commitment to current and future generations. Our aim is to minimise the environmental impact of our activities as part of our prescribed statutory procedures. Environmental awareness is extremely important in all areas – from the sparing use of resources, through noise and climate protection, improved energy efficiency and waste management, to water conservation. 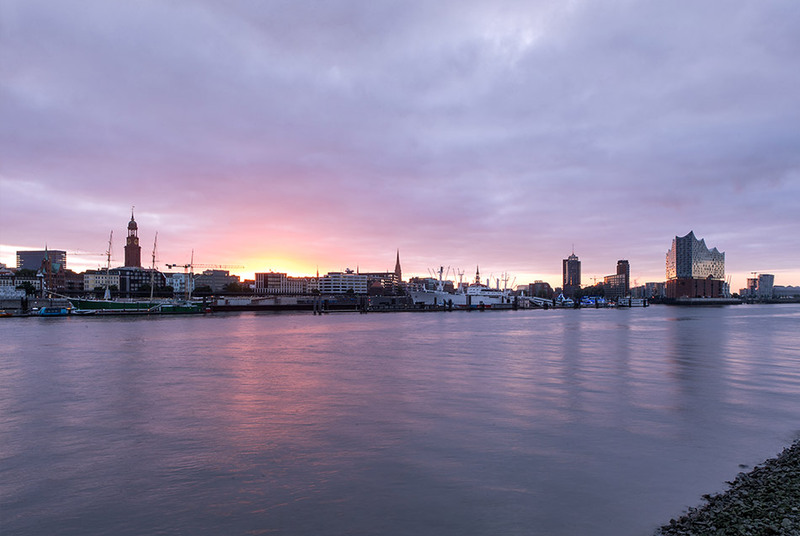 Hamburg Port Authority has therefore introduced an environmental and energy management system. Over and above compliance with environmental law, we also set ourselves the objective of continuously improving environmental protection in connection with our activities, thereby also considering the possible environmental effects of the port's stakeholders. We therefore incorporate environmental impact into our decision-making processes. We favour environmentally friendly products and green technologies for economically and operationally acceptable use. In our company, environmental precautions are not only the job of individuals, but the job of every employee. We promote awareness of environmental and climate protection. We therefore conduct regular training and open dialogue at all management levels of our firm. We expect all staff to act in an environmentally responsible manner within their areas of responsibility. We seek and maintain open and critical dialogue with the public. We are always grateful for external suggestions for improvement.